Have you ever wanted to attend The Grand National, The Cheltenham Festival or Royal Ascot, but simply don’t have the funds to afford such a seemingly lavish outing? Well, never fear, as we’ve not only explored the details of each of these prominent British races, but we’ve also figured out the cheapest ways that ensure almost anyone can attend at least one of the amazing races offered. When it comes to British horse racing festivals, few are more globally celebrated than the annual Grand National, held at Aintree in Liverpool. The National Hunt horse race first took place all the way back in 1839, and continues to attract new jockeys, horses, trainers and audiences each and every year. In fact, the Grand National is the most valuable jump race in all of Europe, having earned a prize fund of approximately £1 million in 2017. Needless to say, not any old horse can enter into the fray to try and claim that huge prize. All equestrian entrants must be over seven years-old and rated 120 or over by BHA. They must also weigh at the most 11st 10Ibs (the jockeys that is, we imagine), as the Grand National is a handicap steeplechase run over approximately seven kilometres. Perhaps it is this specific collection of factors that makes the Grand National such a prominent part of British culture, with thousands of people watching and betting on it each year, despite the fact many of them may not participate in other similar races. In fact, the race is so popular that sportsbooks, betting shops and online casinos often publish their own statistics, odds and tips that will help anyone wishing to participate, whether they are experienced horse betting pros or completely new. There’s even a specific site powered by the Paddy Power Betfair Group that focuses entirely on the Grand National, so you can gather tips at Timeform to prepare for the 2018 run or, if you’re totally unsure, use the random winner generator, which will pick a horse for you at random. So, we know how you can get involved online, but how can you attend the Grand National without breaking the bank? Well, tickets go for as little as £29 – just don’t expect a private box or any of the overly fancy amenities that come with the more expensive packages. If you need somewhere to stay, we recommend checking out LateRooms as they have plenty of last minute hotel vacancies that you can fill. As for what to wear, the Liverpool Echo has you covered with plenty of outfit ideas for under £100. Each and every year in March, Cheltenham Racecourse hosts The Festival, a four-day celebration of all things horse racing with a prize fund second only to the Grand National. Unfortunately, we are too late to attend the 2018 National Hunt meet but as The Festival is annual you’ll always have a chance to attend. Plus, you’ll get to pick which day you would rather attend. The Festival begins each year with Champion Day, which features one of the most important hurdle races in all of racing, the Unibet Champion Hurdle, as well as the exciting OLBG Mares’ Hurdle Race and The Sky Bet Supreme Novices’ Hurdle. The following day is known as Ladies Day, a highly anticipated affair that does tend to focus on the audience more than the racing if we’re being realistic. Still, the Betway Queen Mother Champion Chase takes place on this ever-popular day, which means Queen Elizabeth II and her family are often found in the stand somewhere. Cheltenham Racecourse also tends to give out prizes to the audience on this day, with 2017 offerings including a MINI One car, a Boodles necklace and a spa break at The Lygon Arms. As if Ladies Day wasn’t impressive enough, the third day is none other than St Patrick’s Day. The typically Irish affair is brimming with Guinness, Irish tunes and plenty of fun, including The JLT Novices’ Chase, The Sun Bets Stayers’ Hurdle and The Ryanair Steeple Chase. Finally, The Festival comes to a close with Gold Cup Day, a day where spectacle and surprise reign supreme. There’s The Timico Cheltenham Gold Cup race, where elites fight for the sought-after title, offering a hugely exciting race to all those involved. How can you get involved? Well, the earlier you purchase your tickets, the cheaper they tend to be. For example, tickets for the Best Mate stand at 2018’s Festival went on sale on March 21st 2017 for just £25, with the exception of Gold Cup Day tickets, which often tend to be the most expensive. Alternatively, if there’s a specific race you want to see such as Final Flight, you can purchase tickets that get you in just for that period of time, with prices ranging from £30 to £100. If you’re interested in attending the 2019 Festival, provisional dates are 12th – 15th March, so if you get booking and buying now you should be able to get everything at a reasonable price. While The Grand National and The Festival are undoubtedly staples in British culture, Royal Ascot is highly anticipated and revered by millions all around the globe. There are five days packed full of races to enjoy, all attended by some of the best-known celebrities in the world, from movie stars to members of the royal family. Some of the best races include the Queen Anne Stakes, the King’s Stand Stakes and the St James’s Palace Stakes, all of which take place on the very first day of the event. The second day tends to be far more relaxed and better paced, though it does host the most important race of all, the Group One Prince of Wales Stakes, which dates all the way back to 1862. 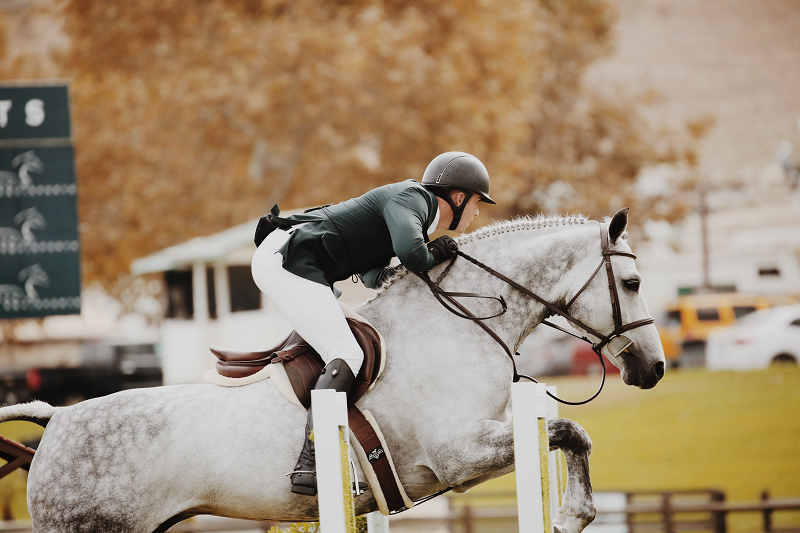 However, this is a title that can be challenged by the historic Gold Cup, which is held on the third day and often attracts many elite horses known as ‘stayers’, meaning they can travel long distances. On the penultimate day, expect the Group One Coronation Stakes, first held in 1840 to commemorate the crowing of Queen Victoria, and finally, on the last day, there is the Group One Diamond Jubilee Stakes. This year, Royal Ascot will take place between Tuesday 19th and Saturday 23rd June, which means it may be quite possible for some of you to get tickets, many of which are currently being sold for as little as £32. However, tickets, hotels and transport will be far more expensive now in comparison to those that will soon be on offer for the 2019 event. So, if you don’t have the cash right now, it may be a better idea to wait until next year. There you have it, three of the most prominent racing events in British culture and how you can attend without breaking the bank. Do you know any other ways people can safely purchase tickets or bag hotel bargains for these sorts of event? Let us know in the comments below.